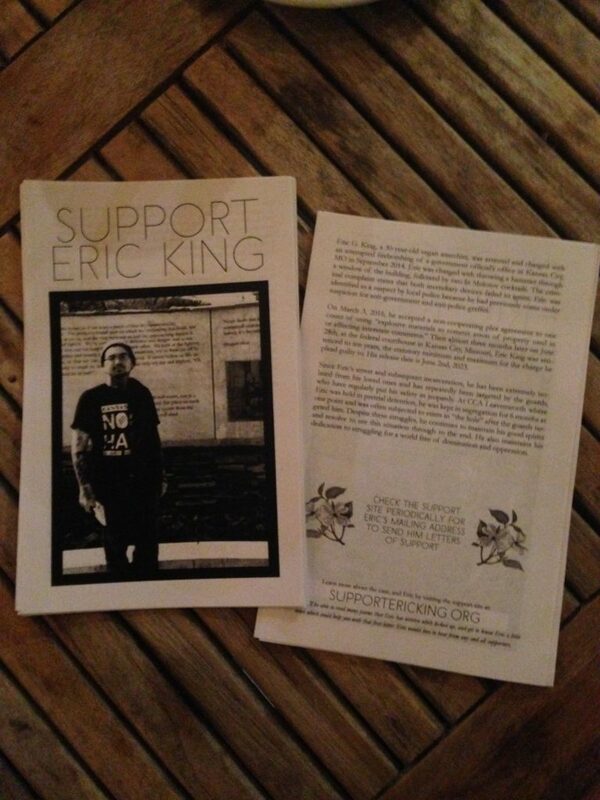 Support Eric King » An Updated Eric King Flyer! The support flyer needed to be updated, so please go ahead and download the updatedflyer , print them out, and help us distribute current information about Eric’s case , imprisonment , and struggle. Thank you so much for all your support! Let’s keep EK in our hearts , and on our minds as we move forward and prepare to provide him the type of support he deserves over the coming months and years!